What was your favorito! performance of the 2012 VSFS? 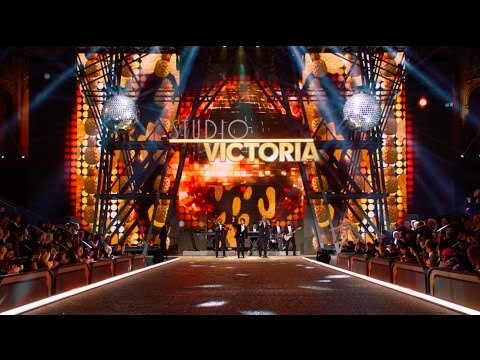 THE VICTORIA'S SECRET FASHION mostrar returns to the CBS televisión Network on Tuesday, Dec. 4 (10:00-11:00 PM, ET/PT). This year's fashion mostrar will be back in New York City with world-famous Victoria's Secret ángeles Miranda Kerr, Alessandra Ambrosio, Adriana Lima, Doutzen Kroes, Candice Swanepoel, Erin Heatherton, Lily Aldridge, Lindsay Ellingson, and many more. The ropa interior pista, pista de aterrizaje mostrar will also include musical performances, rosado, rosa carpet interviews, model profiles and a behind-the-scenes look at the making of the world's most celebrated fashion show. It is no exaggeration to say that the world’s most celebrated fashion mostrar is that of Victoria’s Secret. It’s impressive how many modelos hold this concierto as their ultimate objective in the business, and for those that have walked it, the crown jewel of their career. The last show, held at the Lexington Armory in New York City cost a reported $12 million to produce. Whether Miranda Kerr‘s eagerly anticipated $2.5 million fantasía Bra, sporting 3400 precious gems and 500 hours of hand-work, figures into that tally. GRAMMY® Award-winning artists Kanye West and Maroon 5 will perform on THE VICTORIA’S SECRET FASHION mostrar 2011. Also, Grammy Award-winning artist Cee Lo Green will registrarse the star-studded musical line-up on the mostrar for this year, this is the last announcement that victoria's secret has made. These performances will mark the artists’ first appearance on THE VICTORIA’S SECRET FASHION SHOW. The 2018 Victoria's Secret Fashion mostrar will feature seven live musical performances. Pack your wings! The modelos will sashay down the pista, pista de aterrizaje in the City of Light. Which model lost her shoe on the pista, pista de aterrizaje of VSFS 2006? The sexiest night on televisión is up for an Emmy! Cee lo green cancels his performance at the VS fashion mostrar 2011.